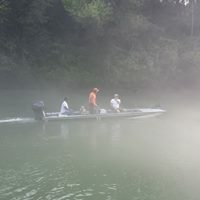 The Arkansas Freedom Fund exists to serve and support rehabilitative recreational outdoor activities that benefit our military, Veterans, wounded/disabled Veterans, and their families. Help us continue our mission and our goals to Arkansas Veterans. Use this button to set up PayPal to give an amount you choose, consider a monthly automatic donation where you control the start and stop. Do you or someone you know, know of a Veteran that wants to be an AFF Member? Contact the AFF and have them get on our mailing list. Remember there is nothing you have to do alone. 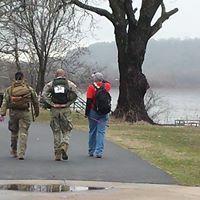 Get with an AFF program activity and get active, outdoors and get moving outdoors. Sign them up here. Its Free and there are no Minimum requirements. AFF Email has changed sbcglobal is no longer supported. Arkansas Freedom Fund Event Photos are all on our Face Book Page. ARKANSAS CHALLENGE RIDE PICS ARE ON OUR FACEBOOK PAGE Please tag yourselves and friends. ​Apr 18-20 Corvette Rally Hot Springs Convention Center CACC need volunteers to present the colors and work table. May 4 Train Day in Hope. Booth Volunteers wanted. May 13 Freedom Scramble Golf Fundraiser Diamante Info and Sign up. ​Aug 8-11 Hope Watermelon Festival. Booth Volunteers wanted. NEAR BRYANT?? Bishop Park in Bryant has a wheelchair Basketball League. Sign up and Veterans are free. It happens on Saturdays Contact Bishop Park. AFF has fishing poles if you need to get started. Get a hold of us with your requirements. Attention Golfers: AFF Adaptive Single Rider Cart are now positioned at the Greens at North Hills and at Cypress Creek in Cabot. We have placed them there for our members and Veterans looking to Golf and need the adaptability. When looking to go golf check out these courses. HUNTERS: All seasons open on our lease land near Bearden. This is open to Members 7 days a week just get on the list for stand assignment. This is a first come first served hunt. 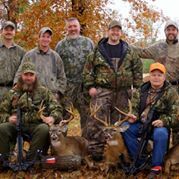 Contact Carl or Gary to sign up or get assistance in helping you hunt. This is another awesome AFF opportunity. Take advantage today. Have you missed an AFF Newsletter? Read them all by clicking here. Volunteers are needed to Chair AFF Programs and to be Board Members. If you want to be a team member click this link to check out our page. TheFlagShirt.com is helping the AFF. Use code AFF10 for a discount and the AFF gets a portion of the sales. 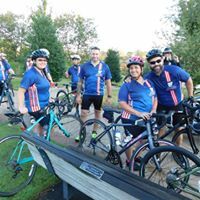 Since we founded in 2010 over 700 Veterans signed up for one or more of our activities and we have purchased over 280,000.00 worth of bicycles and outdoor equipment to meet the needs of our members . We cant do what we do without our sponsors. 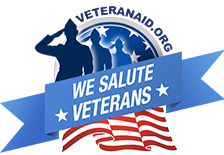 Thank you for supporting the Veterans of Arkansas. Become a sponsor today! Arkansas for where we originated and who we work for. The KIA Memorial, Purple Heart, POW/MIA emblem and the family picture. KIA for those who made the ultimate sacrifice for the freedoms we enjoy today. Purple Heart for those wounded in combat action in the face of severe adversity. The family because without a family there would be no warrior support and its the family that is affected by the sacrifice of a loved one. That may never come home or suffer daily with the wounds, physically and mentally of the serviceman they love. Last the POW/MIA for those missing that may never come home and to stress that its not this war or future wars, but our support goes to all that have served and the lives and family their service has affected. The Arkansas Freedom Fund is a Arkansas registered non-profit 501(c) (3) charity. Fed Tax ID# 27-3428935. Please help us help those who defended us. Donate today!! We are thankful to Andrea D. Rockefeller for supporting Arkansas Veterans. We wouldn't be here today if it wasn't for her. We are blessed to work with her. It's where the AFF Sleeps and you should too. Our Fleet Storage is provided by Spring Hill Storage 3515 Hwy 5 N in Bryant AR. Thanks for your support. Get a Flag Shirt today to help the AFF. Use code AFF10 for a discount.